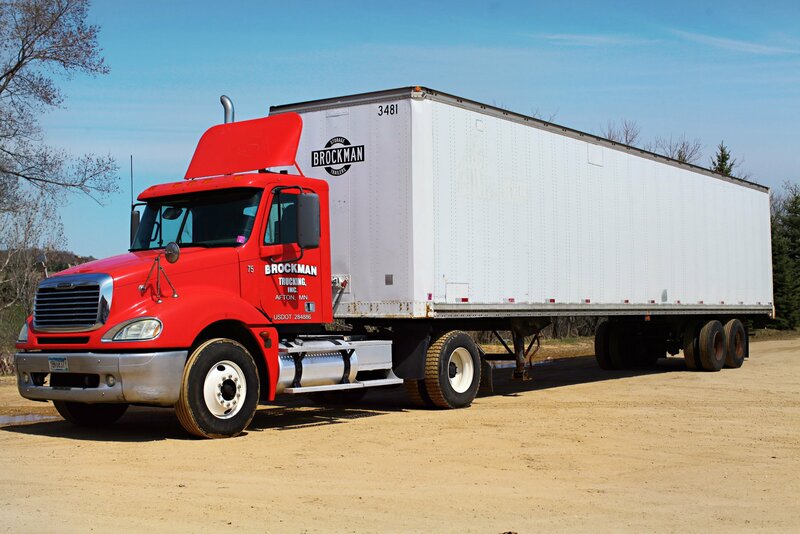 Brockman Trailers - How Many Pallets Fit in a Storage Trailer or Container? How Many Pallets Fit in a Storage Trailer or Container? When trying to figure how many pallets can fit in a container for shipping, it’s about more than answering the question, “How much room is there?” Several things need to be considered before the final pallet count per container can be determined. Pallet Type: Begin by knowing which type of pallet you will be using: Standard or European; Stringer or Block, etc. Each has different variations in size and the capacities will be different. Pallet Perimeter: When packaging your pallets, do not overextend your product beyond the pallet sides. Doing this will cut into the efficiency of your pallets and storage space. When you place your product on the pallets, wrap it in plastic or tie down your material to give strength and stability to the load. This will also eliminate wasted space. Container Dimensions: When figuring your load, consider the three dimensions of your container: Height, Width and Depth. Practically speaking, each trailer has slightly different sizes. 28', 45', 48', 53' are the typical lengths and 96"-102" are standard widths and 94"-110" are standard heights. Load Specifics: Knowing your material and shipping specifications is important. Your container may have the ability to be filled, but be mindful of weight restrictions. Weight can decrease the maximum number of pallets you should load into your container. Understanding your load limits and road weight is very important, even if your space is not completely filled. Can the product be tiered? Does the customer or recipient of your shipment have restrictions on how they load and unload the container? Does your client have a preference when it comes to the arrangement of pallets within the container upon delivery?